CCleaner for Mac is a small and effective utility for keeping your Mac safe, secure, and fully optimized. CCleaner will clean out the 'junk' that accumulates over time: unused/temporary files, broken system permissions, and other problems. It also cleans traces of your online activities such as your Internet history. Furthermore, It will help you to speed up boot times with easy management of Startup items. 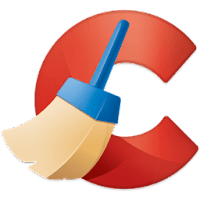 Disclaimer: Direct downloads for the lastest version of CCleaner for Mac 1.15.507 are provided by the official software's author, we can't guarantee safety, availability or download speed. Moreover, we don't and we won't provide any pirated/illegal versions or tools. We recommend you to avoid it as these methods can harm your device. If you like the software, buy it to support the developers. (We provide software discounts for many worldwide brands).